The Evening Optimist Club of Coquitlam, BC is an annual sponsor for the Festival Coquitlam, a reflection of spirit and pride. Members claim that their participation in this is event is one of their favorite activities of the year. What is it? The Teddy Bear Picnic! 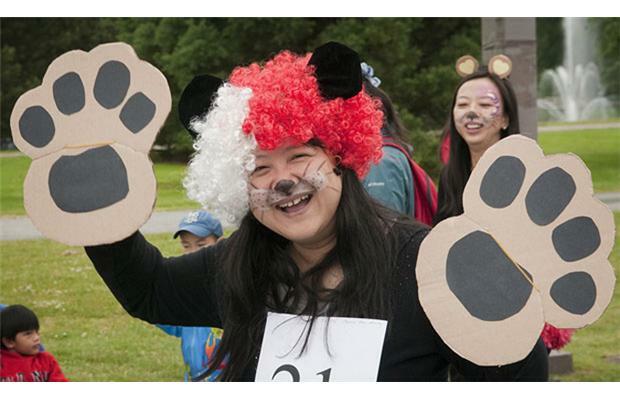 The Teddy Bear Picnic is a culmination of all good things for Teddy Bears and their companions. There is a parade, a concert, and then a picnic with a variety of entertainers for the families, owners and lovers of Teddy Bears. The mission of Festival Coquitlam is, "To host a series of quality family entertainment experiences which will reflect the spirit and pride of our community." Sounds like a perfect connection to share with an Optimist Club! Photo credit: Jennifer Gauthier, Coquitlam Now.